Mr.Ciclavalley has gotten a lot of guff lately and it couldn’t have come at a worse time. 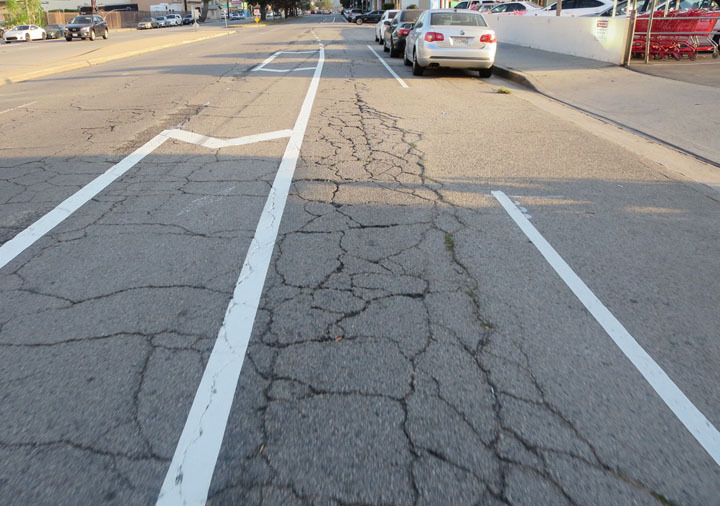 As the Vineland bike lanes have come online, I’ve been asked to explain my absence on the matter. I could just fall back on the setback of CiclaValley.org being blocked by my internet at home, but the mere mention makes my blood hotter than 800 Degrees Pizza. 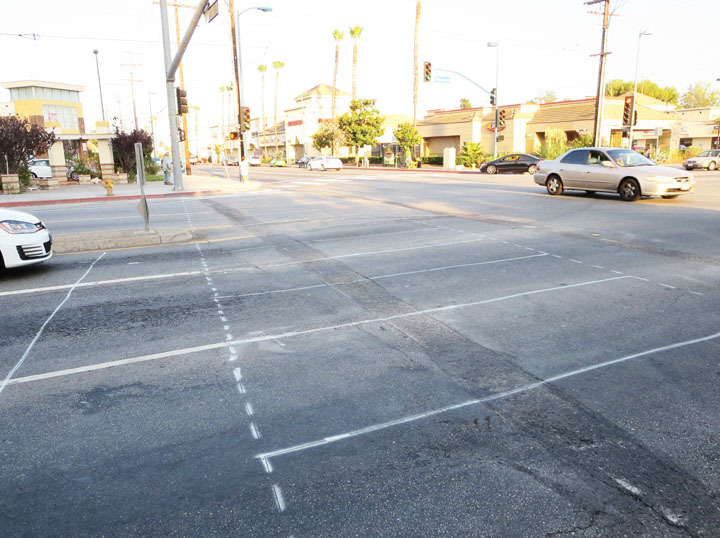 The final straw came after Sahra Sulaiman’s Streetsblog LA’s article. Where was Mr. CiclaValley? Did I give up my superpowers like Clark Kent in the the 2nd Superman(Christopher Reeve)? No. I do not think I could handle being mortal. 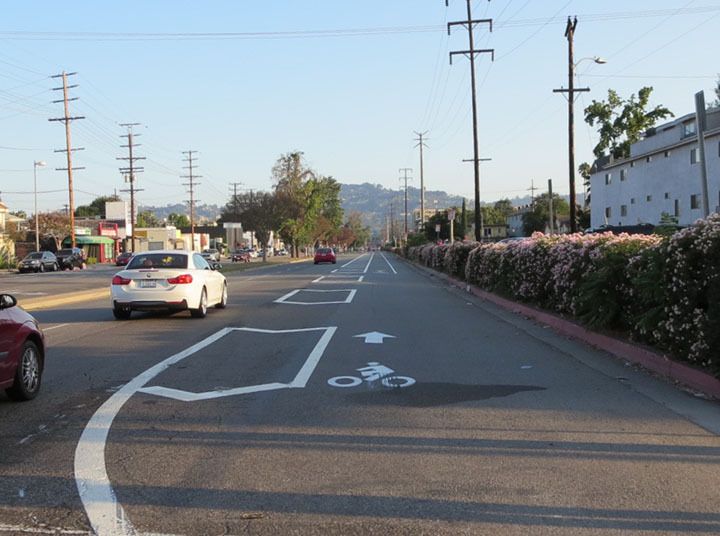 I pass the Vineland bike lane at least five times a week, so why did I skirt my responsibility? Okay, that was auto correct doing its job, but that’s far more exciting than the word I was going to use: malaise. Even though these lanes are blessed with bufferedness(I don’t care about using proper English at this point either), they’re hardly anything to get you excited about. 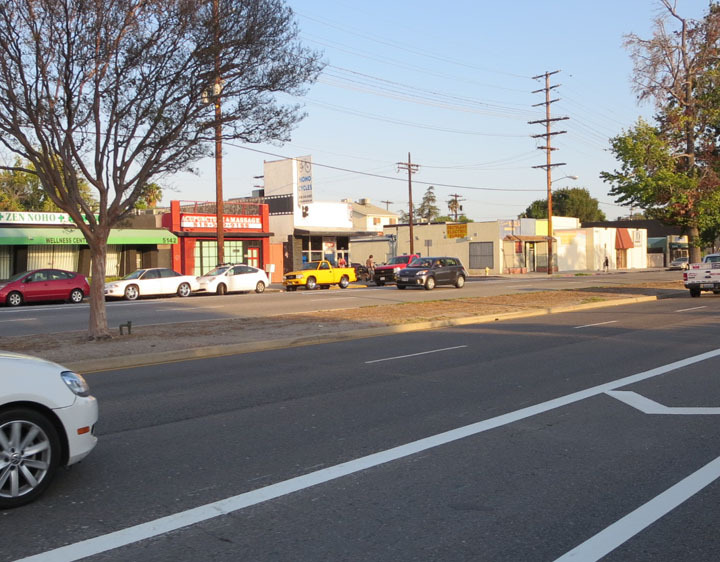 Stretching from Chandler to Ventura, there is little engagement with activity on the sidewalk south of Camarillo(apologies to NoHo Cycles and Idle Hour which lie to the north). 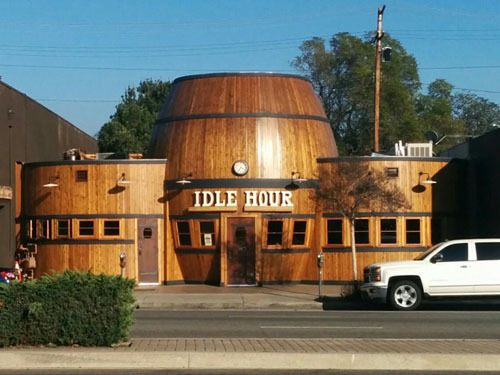 Idle Hour. Hands down my favorite building! Getting to Ventura Blvd. 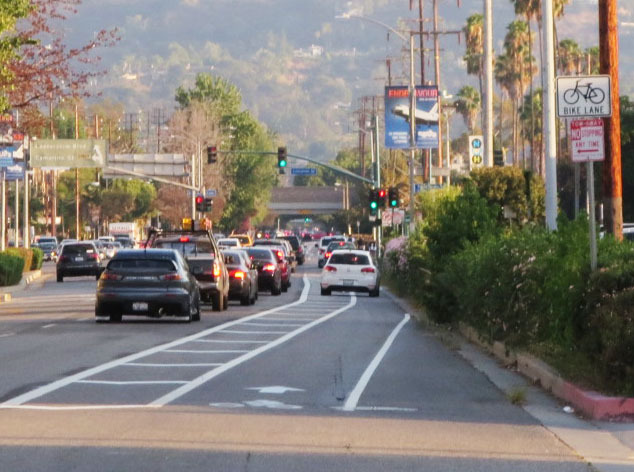 should be a good thing, but the lack of infrastructure ruins the connectivity, and Vineland will be underutilized like the bike lanes on Colfax and Tujunga just to the west until something changes. While subtracting a traffic lane sounds like a good thing, cars still hurry down Vineland rushing to join the logjam at the freeway onramps. 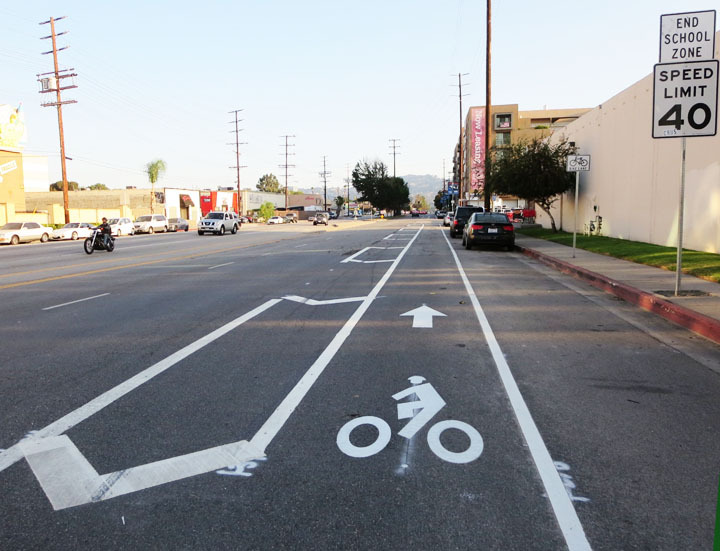 The lanes do little to remove the sting of bike lanes being blocked on Lankershim. If anything, the bike lanes are more vital NORTH of Chandler to give finally give us a viable connection to Sun Valley and beyond. At this point I’m in a big state of denial. Last week, I thought riding the Thursday edition of the Barry Wolfe Ride, which goes directly down Vineland’s throat, would inspire me while traversing the valley at high speeds. I came, I saw, I went home. This is the true definition of taking the lane. The lingering feeling of disappointment will have to dissipate before I can open up. This may be a “it’s not you, it’s me” moment, but after reading Suhaiman’s article, we may be drinking at the same bar. Mr. CiclaValley will give a true and thorough report at some point, but definitely not until after the paint has dried and time has passed. And until I can get onto my website from home.